This weekend Sun Kissed Boy #1 & 2 earned some money by washing our neighbor's car. SKB #1 chose to save it, while SKB #2 couldn't wait to spend it! He knew exactly what he wanted. 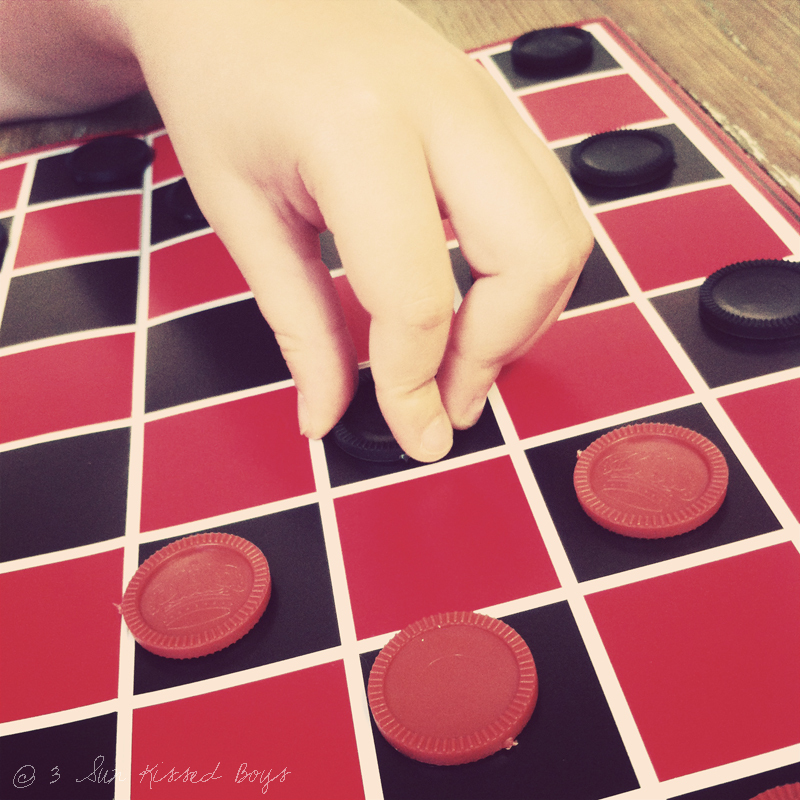 A checkers game. SKB #2: Mommy, wait. EVERYTHING in this store is 1 dollar? SKB #2: [Picks up a random item.] This is a dollar? SKB #2: [Picks up another random item.] THIS is a dollar? Me: Yep. [I point to several random items.] This is a dollar, this is a dollar, and this is a dollar. This here is a dollar too! 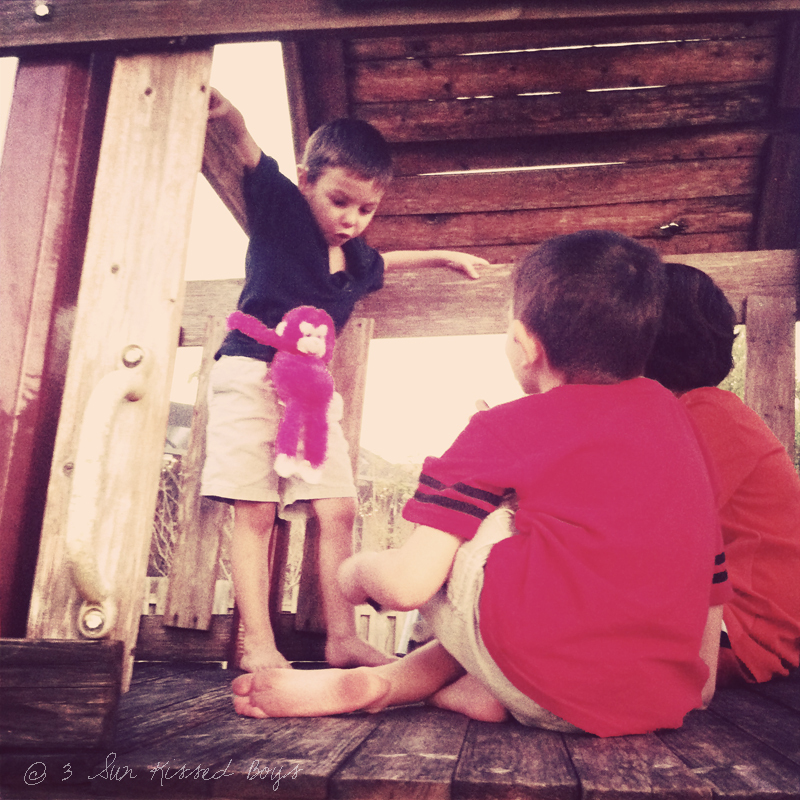 SKB #2: Um, mommy, I can by something for the brothers AND you! Me: You sure can, baby. 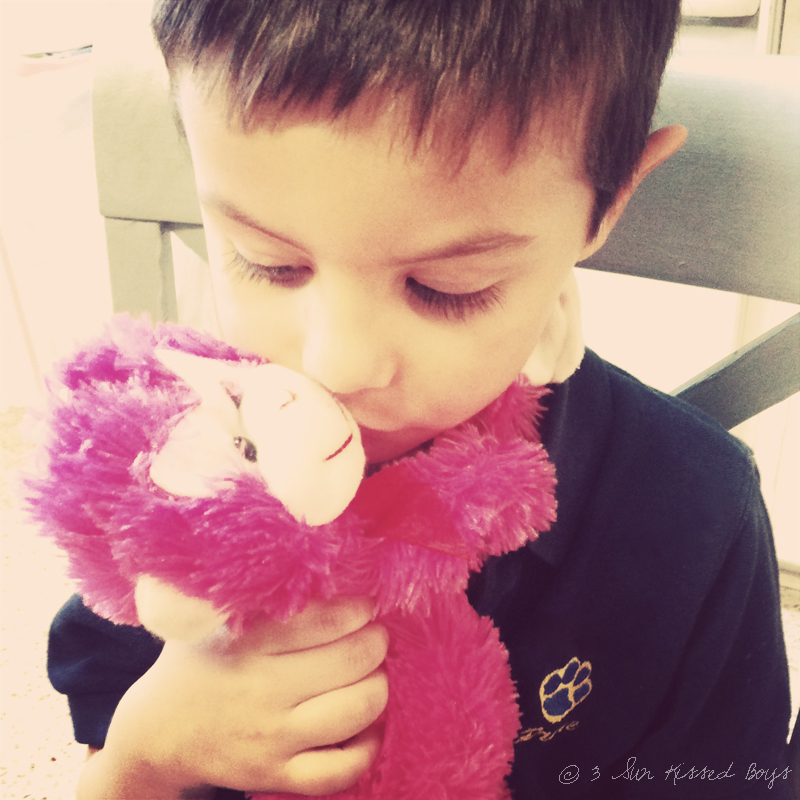 Sun Kissed Boy #3 got a hot pink monkey he now call Funbrain that he loves to play with AND wear. 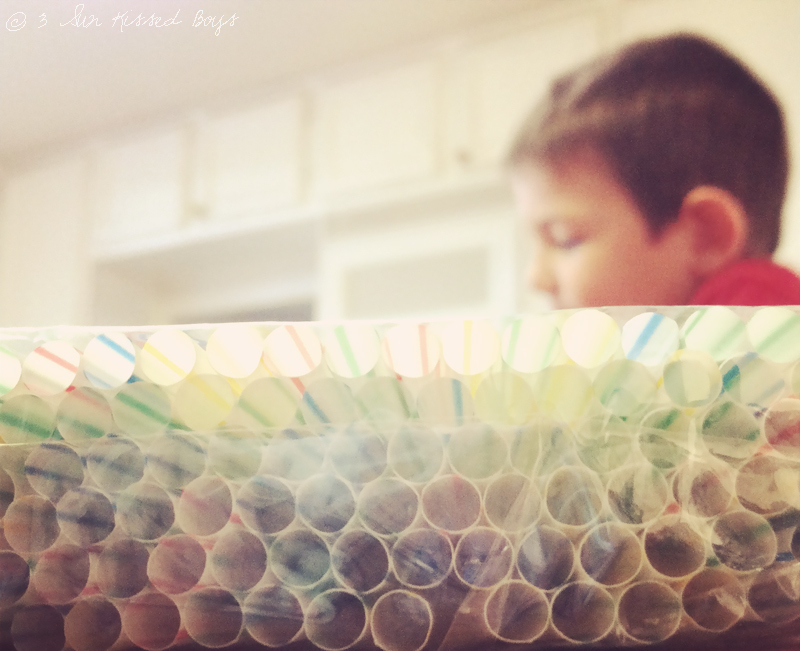 I got a whole package of bendy straws for guess how much? A DOLLAH! 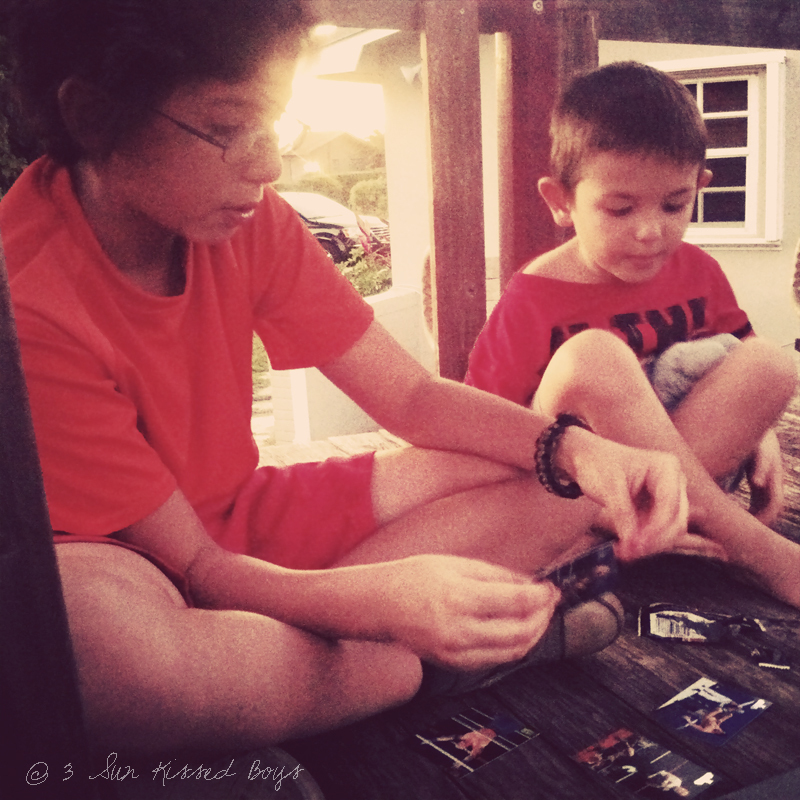 For Sun Kissed Boy #1, he picked trading cards. SKB #2: My favorite part of the day was meeting that little girl at Ms. Adeline's office. He was referring to a five-minute conversation I had at the PTA's office where the PTA president had her 5-year-old daughter with her and they played for the short time that Ms. Adeline and I spoke. Me: Really? Not the Dollar Store trip? SKB #2: That was only my third favorite. Me: So what was your second? SKB #2: Having enough dollars to buy something for the brothers. Your boys are handsome! I love the dollar store, It can seriously make a child happy! we have random trips there! Great story!! Such a sweetheart. We often take trips to the dollar store and our first visit was basically the same...my oungest couldn't get over the fact that everything was a dollar! Do you guys have a 5 Below store there, too? What a sweetie! Are those pics that you took with Instagram?!? How did you get them into a blog post? I tried, but I can't figure it out! What an absolutely great kid!